Brand spankin’ new one from Reigning Sound. 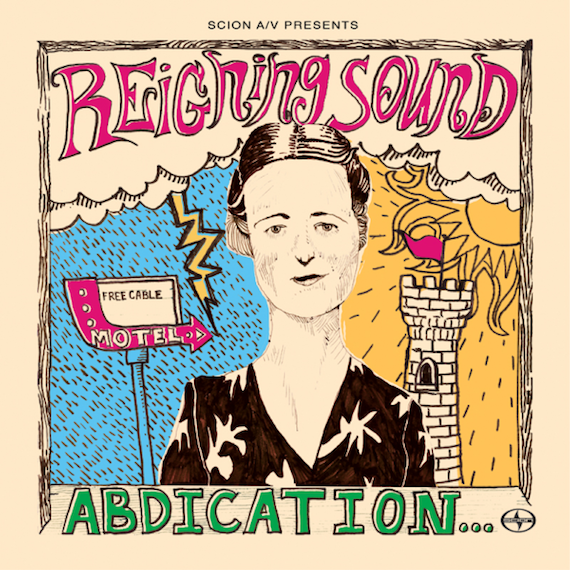 “Eve” from their forthcoming mini-album, Abdication. This might be the most boring song Greg Cartwrighthas ever written. has he been hanging out with Jjm James and Bon Iver? “Lying Girl” is infinitely better AND NOT BORING! I guess you haven’t heard his early Reigning Sound stuff (ie Break Up Break Down) – there was a lot of slower, moodier songs. I don’t think this isn’t boring, it’s just different from his more recent stuff. Greg Cartwright = Man of the Decade. I dig it!! Everything hes done is awesome! The Oblivians, Compulsive Gamblers, Deadly Snakes, The Tip Tops, On and on and on………. Nothing, I think, has come out bad. Live and album wise.